We search the world over to find these chickens and their adorable owners. Then we take a vote and decide on which are the best one's for our website. If you want your child and their chicken featured on our site just email us at: chickenheavenonearth@gmail.com and put Cute kids with smart chickens in the subject line. Don't forget to send us the link to your video and a photo of you. Must be 18 years or older to submit information and photos of minors must be approved and submitted by a parent or guardian or you can just put your video on Youtube and tag it #cute kids with smart chickens or tag #chicken heaven on earth and we will find it. See this week's featured videos below. This little girl reads to her chicken while the chicken sits on the toilet and goes potty! ​Already seen it? Check out more cute kids with smart chickens below. These young ladies teach their chicken tricks, like jumping through a hoop and other adorable tricks. A must see. ​Already seen it? See more Smart Chickens below. Watch these adorable chickens who love to cuddle with their owner's! 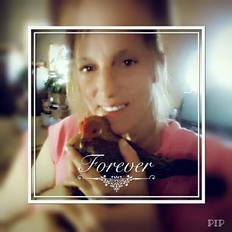 Check Out Grace the Cuddling Rooster! Pet chickens can get very attached to their owners and if given enough attention they even get affectionate. Check out these cuddling chickens!